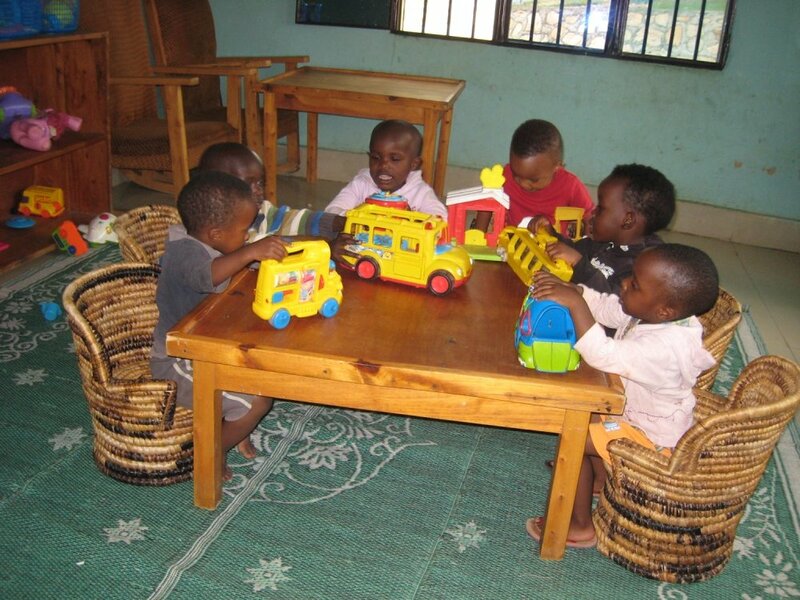 The Urukundo Daycare opened in 2016 The main purpose was to provide day care for the infants of our teachers. It has expanded to provide a safe, loving environment for newborns, toddlers and preschoolers of our staff and other children from our community. It also provides a stimulating environment for our Urukundo 3 and 4 year olds to play before and after their half day of preschool/kindergarten. Mamas Clarisse, Chantal and Josephine, attentive care are key to the success of this ministry as they play with, teach and love the children. There are two play areas, Mamas house & yard and the nursery building where the littlest have nap time. And there is room to grow as we have exciting news. Our daycare was just certified August 2018, by the Rwanda government, to be a full-time daycare.